Good day to dear reader and visitor, it's been raining these few days. How are you doing? 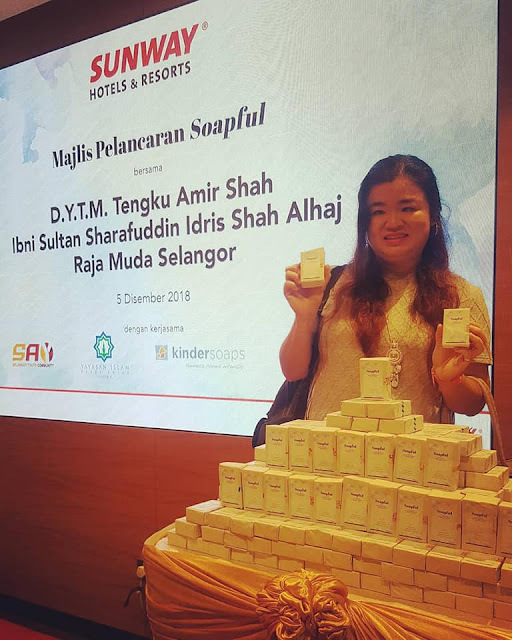 Yesterday, I attended the launch of Soapful at Sunway Resort Hotel & Spa. 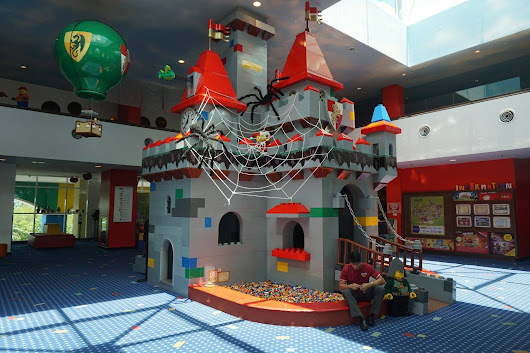 Everyone has got a busy lifestyle, and do you remembered the last time you stayed at the hotel? Do you bring back the soap that you have used in the hotel room? Usually we left behind the used soap in the hotel room, imagine how many used soaps are left in the hotels and where do the end up, read on to find out. While most hotel soaps - used once or twice - usually end up in landfills. Sunway Hotels & Resorts has now found a more sustainable way to repurpose used soaps to help communities in need. Yesterday, the hospitality group presented 1,000 bars of repurposed soap to Pertubuhan Kebajikan Anak Yatim Darul Ehsan Malaysia (PKAYDEM), under Yayasan Islam Darul Ehsan (YIDE), to kick start the home's social enterprise project. 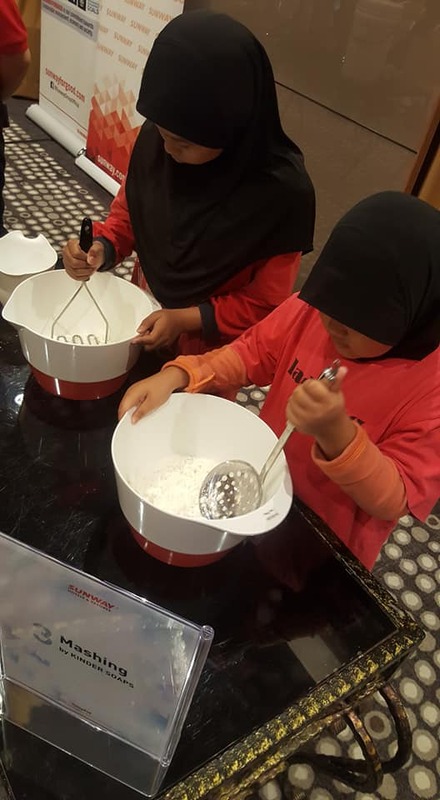 The Soapful project is a collaboration with various project partners - Ecolab Sdn Bhd, Kinder Soaps Sdn Bhd and the Selangor Youth Community (SAY). 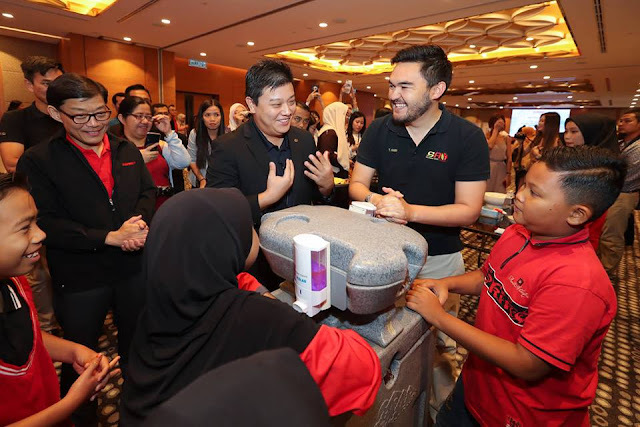 At the launch there were set up of demonstration on proper hand washing procedure by Ecolab and experience the method of soap repurposing with Kinder Soaps, together with His Highness Tengku Amir Shah Ibni Sultan Shurafuddin Idris Shah Alhaj, The Crown Prince of Selangor and children from PKAYDEM. Ecolab demonstarted the proper hand washing procedures during the event, which is an important step before starting the soap making process to ensure no bacteria is passed on, making it safe for personal use. 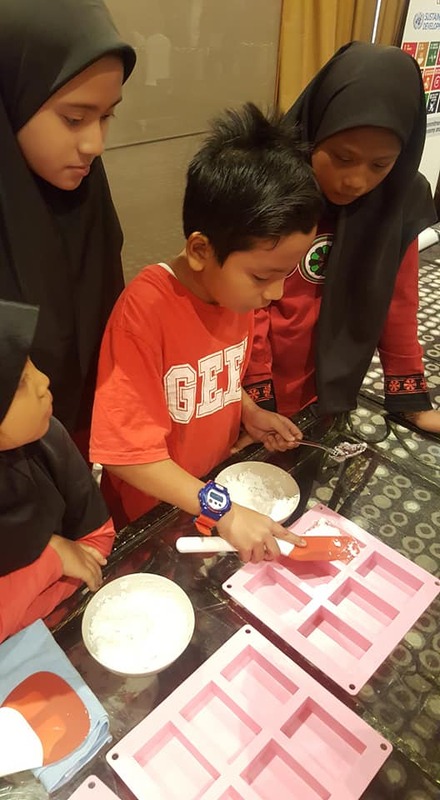 Kinder Soaps Founder, Michelle Ho, then taught PKAYDEM's children the five-step soap repurposing in station set within the hotel. The five-step process involves grating, mashing, melting, molding, cutting and packaging. 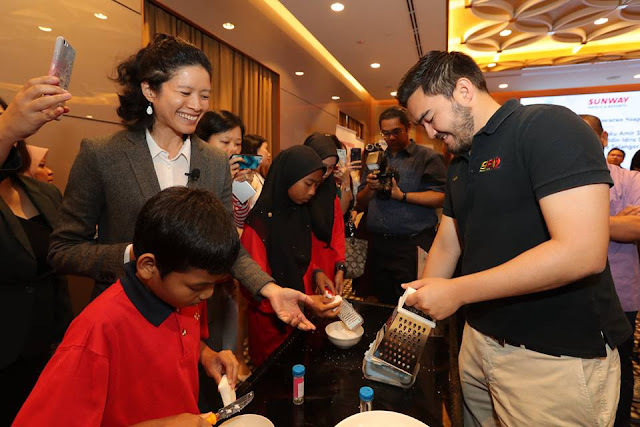 The repurposed soaps were made from some 100 kgs of leftover soaps from Sunway Hotels & Resort's located in Sunway City - Sunway Resort Hotel & Spa, Sunway Pyramid Hotel and Sunway Clio Hotel, which were collected since July this year. This is good as not only cut down the waste but go green recycle. 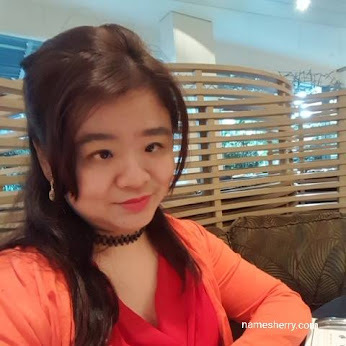 In this year, this project will include the other five (5) hotels nationwide namely Sunway Putra Hotel, Sunway Velocity Hotel, Sunway Hotel Georgetown, Sunway Hotel Seberng Jaya and The Banjaran Hotsprings Retreat. 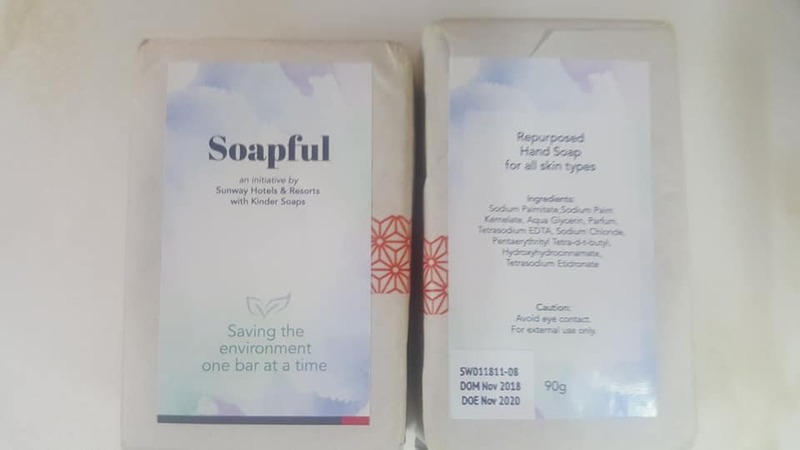 Ecolab will facilitate the collection of used soaps bars from the hotels, which are then delivered to Kinder Soaps' processing lab to be repurposed into new bars of soap, following stringent standard operating procedures that adhere to safety and environment standards. Kinder Soaps will also be teaching and guiding selected homes on the processes of repurposing used soaps. 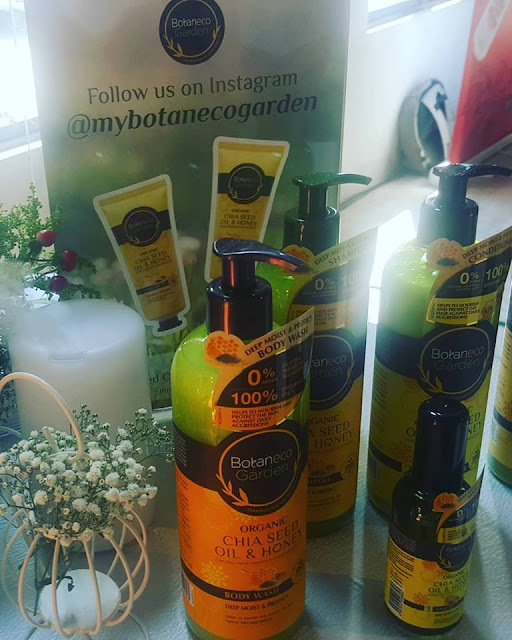 At the end of the year one-year project, the aim is for the home to be able to produce their own repurposed soaps for personal use and to be sold as part of their social enterprise programmes at charity sales, community markets and other social platforms. 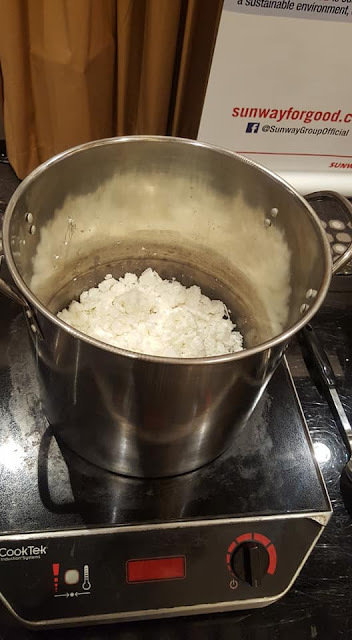 Station 4: Mixture is melted / heated to remove excess water. Sunway Hotels & Resorts will then be working with a new beneficiary selected by SAY. SAY is a long-term partner in this project who will continue to identify the subsequent beneficiaries of this project based on its capacity and to be included as part of their social enterprise programme. 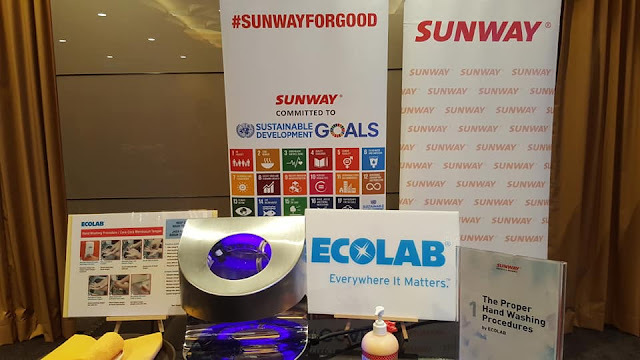 #SunwayForGood #SunwaySoapful project was conceptualised to deliver benefits to the enivronment, society, and the economy in alignment with the hospitality group's commitment to the United Nations Sustainable Development Goals (SDG) which aims to drive sustainable progress that leaves no one behind. 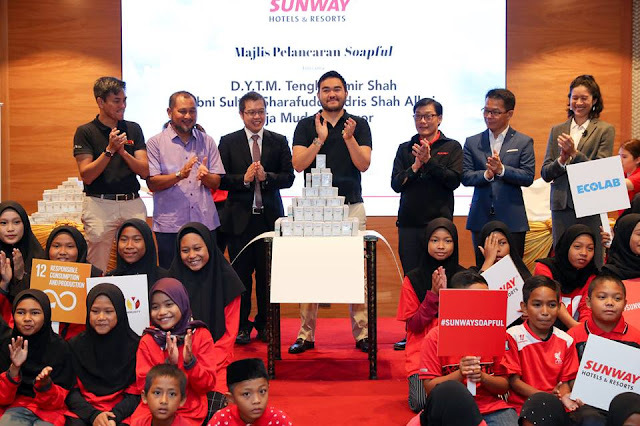 The community programme are in line with Sunway's pledge to create a positive and far-reaching impact on the nation under the banner of #SunwayForGood , aligned with Sunway's commitment to the United Nations Sustainable Development Goals. It's indeed a day well spend as I get to attend the launch of Soapful, if you like to view more photo can visit my Facebook's album. wow.. i heard so many bloggers get to attend this amazing event. people get to learn on how to take care their hygiene properly. 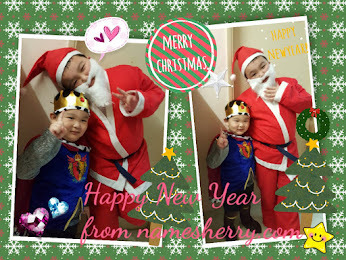 It is a good collaboration to reuse the things and join the charity. Atleast, we can help and make others happy. Nice idea to do the activity with them. We can learn how the process in making the soap. Thanks for sharing! yeah good to be behind the scene to know how it's soap bar is made. Normally i used my own toiletries when go for travel or jalan-jalan. Meaning that i will not used the toiletries provided by hotel. Hehe. I think this is my kind of help to reduce the waste of the soap. By the way the program is very helpful to help a better environment and to generate economy as well. Congrats Sunway Group. thanks for sharing your experience. Good idea on bringing own toiletries. yeah its part of the life skill. Sangat bagus diadakan program dan kempen macam ni. Sabun yang telah digunakan diproses semula dijadikan sabun yang baru .Hasil jualan diberiman kepada anak anak yatim .Memang sangat bagus .Yang best siap ada akt iviti membuat sabun untuk anak anak yatim cuba. ya, mereka boleh belajar ni sebagai kamahiran hidup. This is very meaningful campaign. I like the concept of reuse and it's good to the nature. in fact I salute to the ppl on behalf of this campaign. 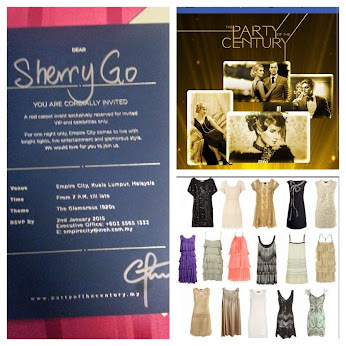 this seems like a very good event and you are pretty lucky to be invited to this one! 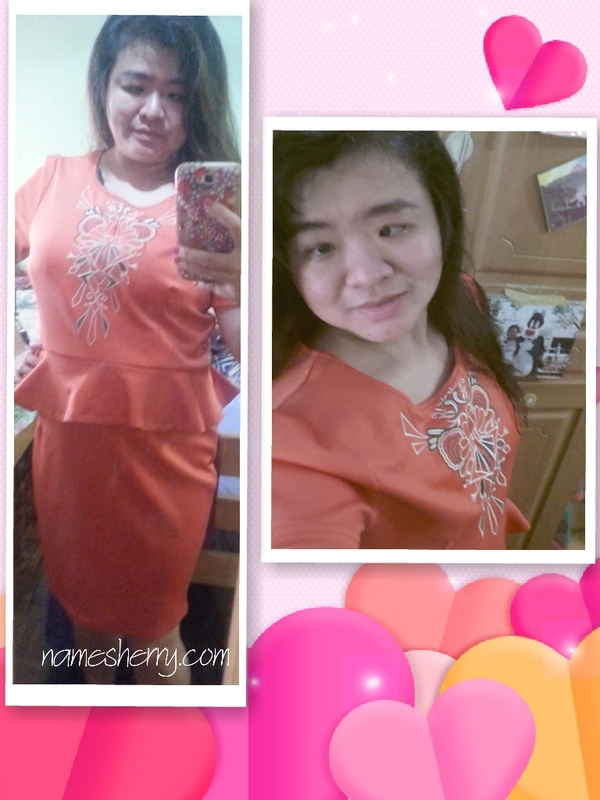 Hoping I will get a chance, sometimes in the future.